Welcome to the Maltose Express on line purchasing site where we sell home brewing and wine making supplies and ingredients! We are located in Monroe, Ct and you can purchase online or in person from our store. We now pay 1/4 of the shipping price of your order, so your shipping price will be less. Please compare our prices, especially with sites that offer free shipping but charge more for each item than we do. We currently have options for shipping through UPS, as well as pre-paying for the items online and selecting in-store pick up. If you decide to use the in store pickup, please write in the comment or special instructions field when you will be arriving so we will have your order ready for you. 7.9 gallon plastic conical fermenter from Fast Rack. Make your own mead, also known as honey wine, at home. Maltose Express owners Tess & Mark Szamatulski share their decades of award winning beer and wine making experience with new and long time customers from all over the United States, and around the world. From the beginning home brewer, hard cider, mead & wine makers, to more advanced brew masters & vintners, the entire staff at Maltose Express is here to assist you with all your beverage making needs. We are Connecticut’s largest home brewing and wine making supply store and offer the largest inventory of supplies in the Northeast. We also own and operate Veracious Brewing Company which grew out of our home brew store. For home brewers we stock many beer making supplies and equipment including 60 varieties of malted grain, 50 varieties of pellet hops and 20 varieties of flower hops and have over 4000 pounds of hops in stock for sale. We carry all the Wyeast Labs liquid yeasts, some of the White Lab yeasts liquid yeasts and several varieties of dry yeasts as well, including Safale. We carry dry malt extracts, liquid malt extracts, corn sugar, candi sugar in both rock candi form and liquid form, lactose, corn sugar, beer spices and everything else you might need to brew your next batch of beer. We offer free introduction to home brewing classes many times during the year and give all grain brewing demos throughout the year. We have been selling our Deluxe Home Brewers equipment kit for over 25 years and believe it is the best value for the beginning brewer in the country. For the all grain brewers we will measure up your grain orders and crush them for you. 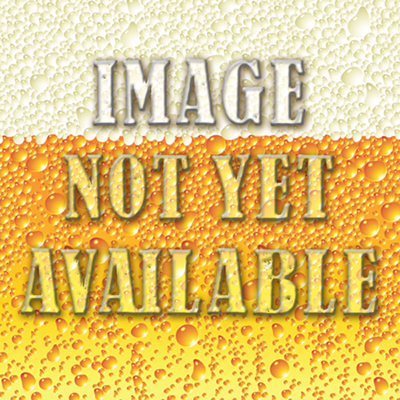 We have more that 500 clone and original recipes from around the world starting with our two books of clone recipes, “Clone Brews” and “Beer Captured”. Between them, these books contain 350 recipes from light Lagers to Barleywines, from Witbiers to the hoppiest of Imperial IPA’s. If there is a style of beer you would like to make, we have a recipe for you to brew a great beer in your own home. 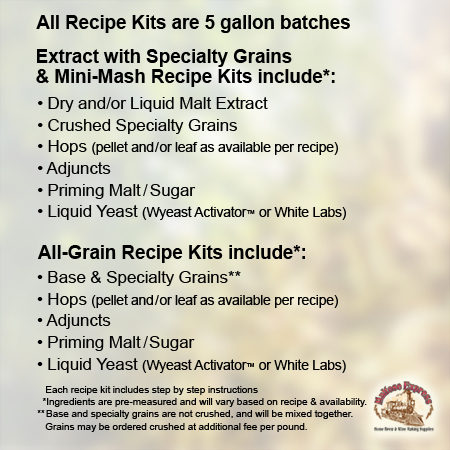 All kits are available in extract with specialty grain, mini mash and all grain versions. 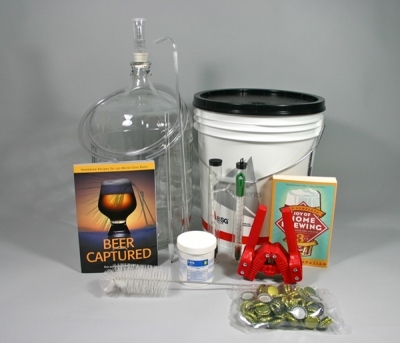 These recipes kits are for brewers who want to make beer that is similar to or better than the commercial beer you purchase. All these kits are assembled with the finest ingredients and are true to their style. We use over 60 types of grains, 50 types of liquid yeasts and 50 types of hops in these recipes to give you the best beer recipe kits in the country. Some of our double IPA recipes have over 8 ounces of hops and up to 7 different varieties of hops in them. We have brewed over 1000 beers during the past 20 years to tweak our recipes, some 3 or 4 times. All the kits are available in extract, mini mash and all grain formats. 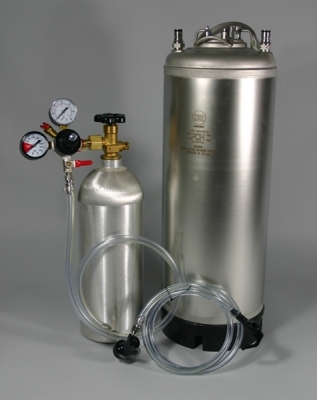 We also carry a full supply of home brew kegging and commercial kegging equipment and will help you with your particular kegging setup. We always have two of our beers on tap for you to sample. Please stop in and visit our store. For the wine makers, each fall we order fresh grape juice and wine grapes directly from the vineyards of California and Italy. We source wine grapes from several regions in California including: Amador, Clement Hills, Lodi, Sonoma and Suisun Valley. In the spring, we look to South America and order fresh Chilean wine grapes and grape juice to keep our wine making customers busy year around. We also carry award winning wine concentrate kits that include everything you need to make your own wines for every season and occasion. We stock home wine making equipment and supplies including: grape presses, grape crushers, demi johns, carboys, grape fermenting tubs, variable capacity stainless steel fermenters, corkers, corks, airlocks and all everything else you will need to make your wine. There are always two wines on tap for you to sample here at Maltose Express. Throughout the year at our shop in Monroe, CT we offer wine making and home brewing classes, as well as offering wine tasting classes where you can taste wine from around the world paired with regional dishes, as well as classes on how to make your own hard ciders, meads and cheeses. In June of 2015 Tess and Mark opened Veracious Brewing Company next door to Maltose Express and it was named one of the top new 33 breweries in the United States by Beer Advocate Magazine for 2015. Have a look around our online store, and if you’re ever in our part of Connecticut, please come by to visit our store and sample some of our great home brews, wines, hard ciders and meads.